Symptoms occur when there is a state of imbalance in the body. 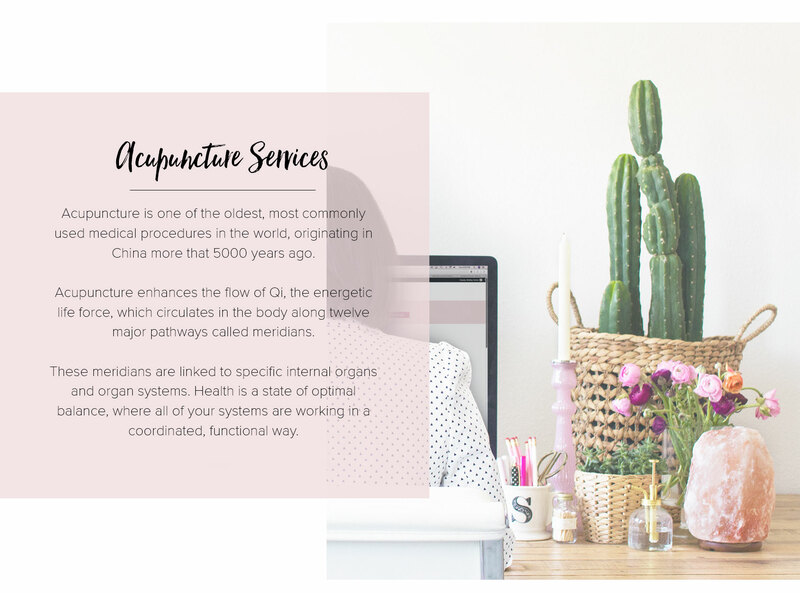 An acupuncture treatment is the insertion of very fine needles into precise points on the body. The combination of points are prescribed based on the pattern of imbalance determined by the practitioner. The stimulation of these acupoints can alter physiological responses in the body to correct and rebalance the flow of energy to improve symptoms, relieve pain and restore health. The World Health Organization recognizes almost one hundred diseases, symptoms, or conditions for which acupuncture is effective. “For years I have suffered with severe TMJ that involves neck, shoulder, and facial pain. The chronic pain from the TMJ also causes anxiety, which affects several aspects of my life. I have seen TMJ specialists and dentists, worn mouth appliances, and had extensive dental work completed. Even after all of these treatments, I saw very little improvement in my symptoms. In search of another option for improving my pain, I started working with Dr. Gomendi in 2016. I was apprehensive about acupuncture at first but willing to try it. Take your first steps on your path to a vibrant, healthier you by scheduling your initial Naturopathic Medicine consultation by calling me at 918-236-6122.